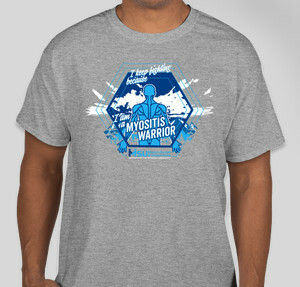 Support Myositis Support and Understanding, a 501(c)(3) US non-profit organization run for patients by patients this May 2019, Myositis Awareness Month. 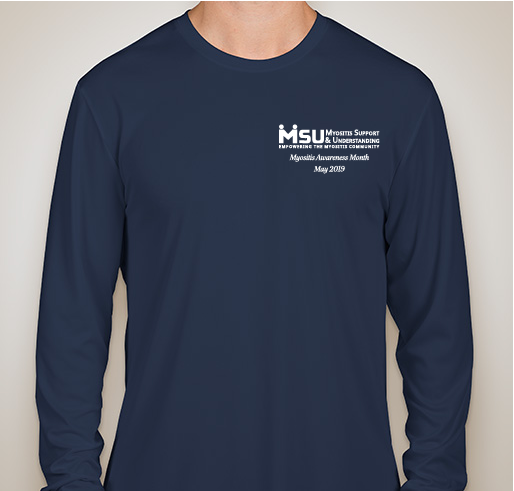 When you purchase the LONG SLEEVE OPTIONS you Support MSU and protect your skin AT THE SAME TIME. 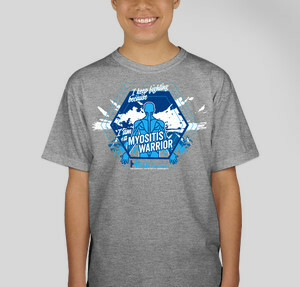 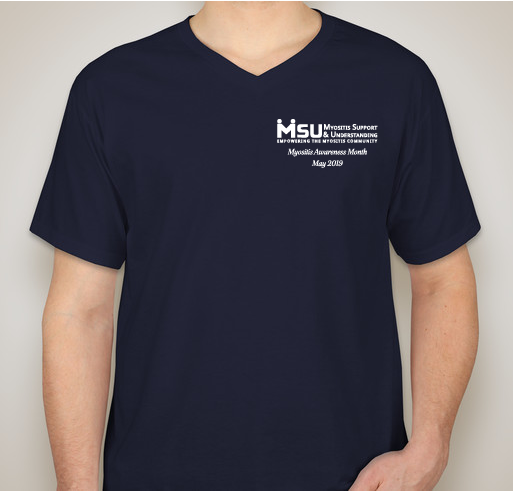 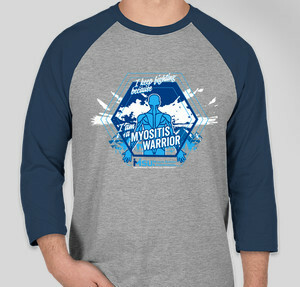 The long sleeved shirts in each design (the Dark blue shirt with words on the back and the Raglan T-shirt with our Muscled Super Hero - For Myositis Muscles) have UPF sun protection in the material! 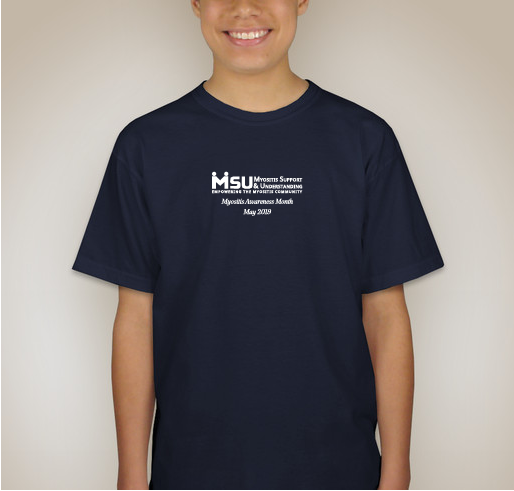 The short-sleeved options do not have this added benefit.